As I'm pretty sure a lot of you guys out there know, losing weight, and keeping it off is hard work. Especially if you're like me and are tempted at every corner by delicious foods that you feel the need to stuff your face with. Between Korean BBQ, seafood, and eating pasta, the choices are endless. 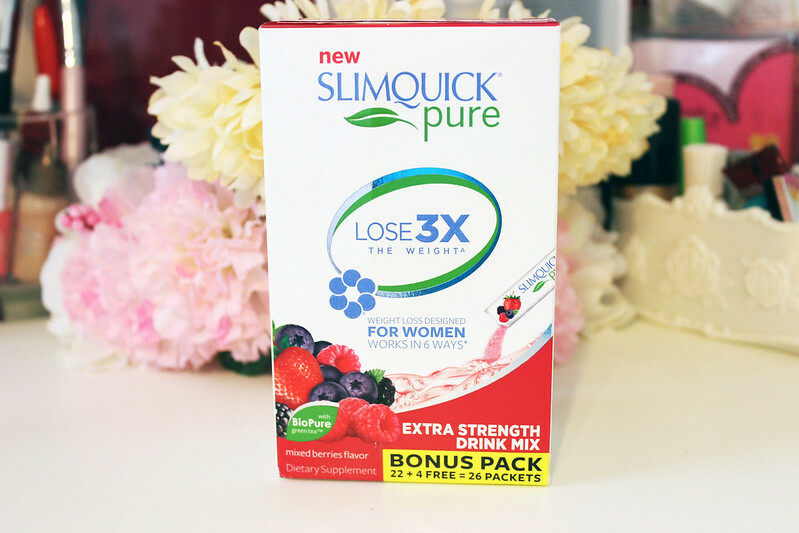 So what's my solution to staying at a healthy weight, well it's simple: SlimQuick Pure. 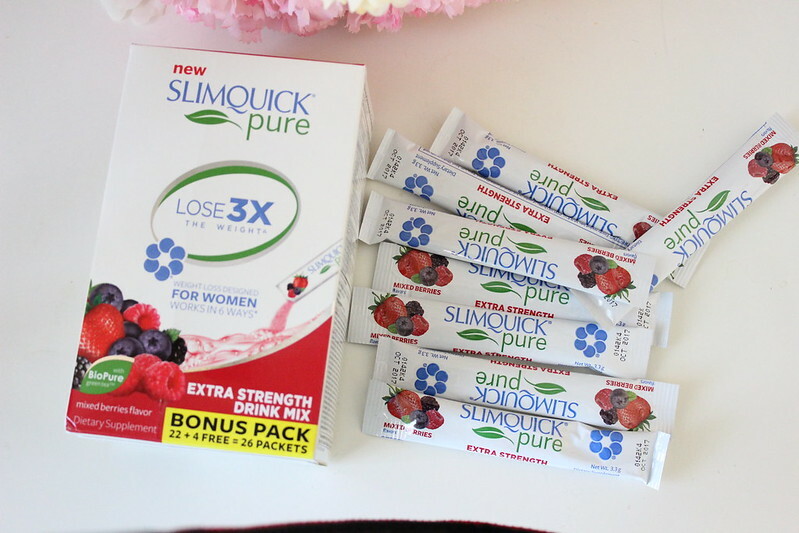 First off not only is this a really good weight loss regimen for those of you who are like ick to taking those diet pills everyday, these are actually pretty tasty. These are like those crystal light water flavorers. 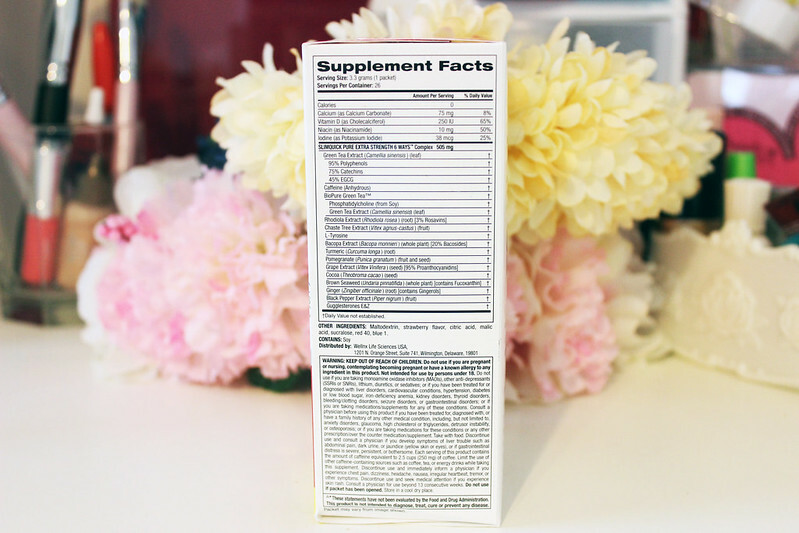 But unlike those ones, these ones are packed with good stuff to help you lose weight! For those of you who are curious, I do exercise on a daily basis, if not at least 4 to 6 times a week. I try to give myself a day off during the week if I'm feeling a little stressed out. 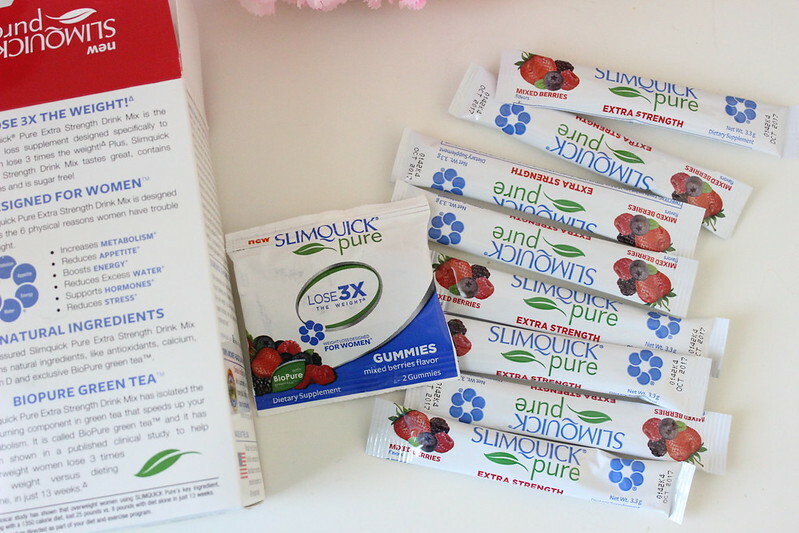 The reason why I decided to try SlimQuick was because I realized that in the last 2 weeks that I have been a little more hungry at night time. Which is strange, because usually I try to limit myself on what I eat at night time, but the last 2 weeks have been stressful. Between campaigns, and blogging, I can tell you guys that I feel way more hungry than I normally do. 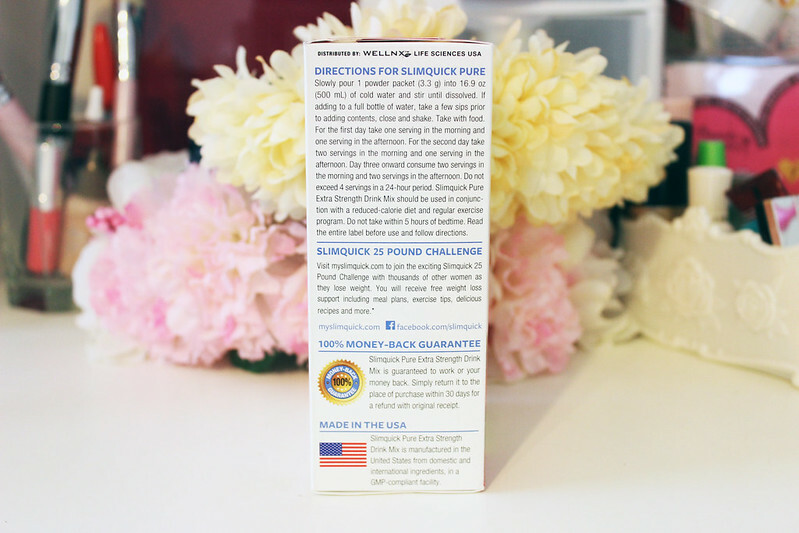 I don't drink SlimQuick 4 times a day like the directions tell you to do. Because for one, I'm usually running around between LA and my home, and other places, sometimes the OC, so I don't have time to drink this. I know, I should be better about it, and bring a bottle of water with me, and drink it that way. But at the same time, I don't want to drink more than is necessary. It doesn't say on the packaging that you can't drink less than that. Here is a $5 off coupon for those of you who might want to try this out! 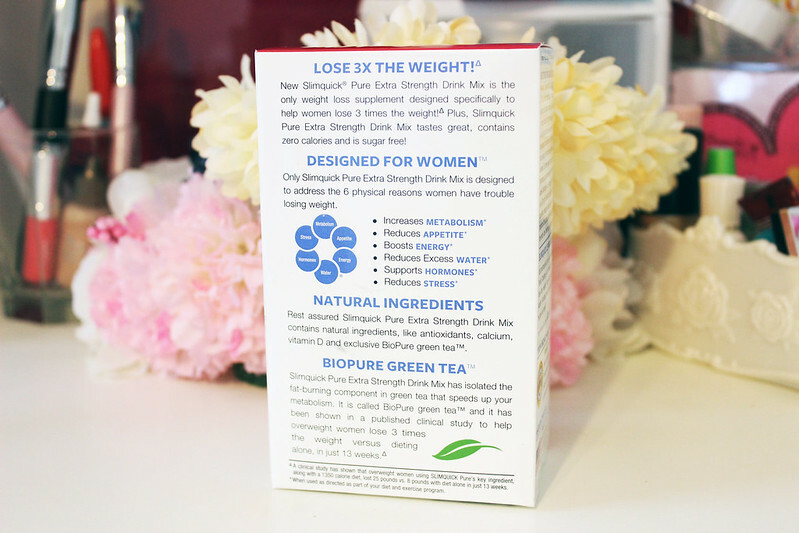 So far I've only drank this for the last week, and I've gone down 5 pounds, which isn't bad seeing as how I haven't changed my diet, or my exercise routine! Stay tuned, I will be doing my weight loss story soon!